There are times when you might need to export the excel data to a HTML web page and its pretty easy to do it with Microsoft Excel 2016. You can use the Save As command in Microsoft Excel to perform this. 1. 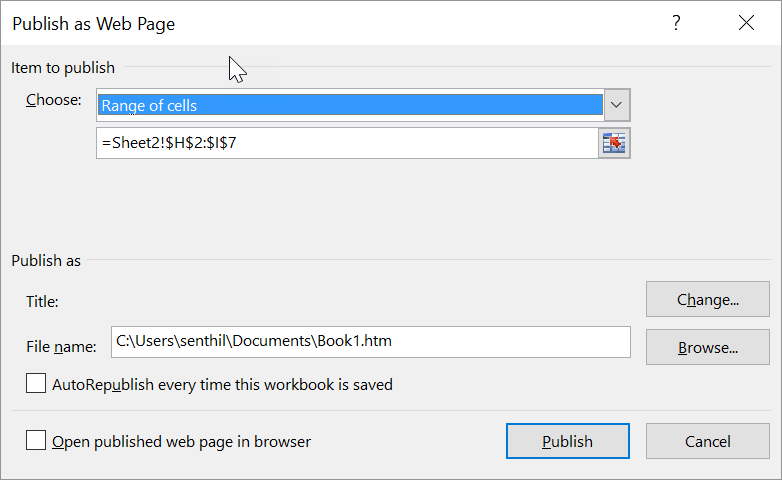 Select the range of cells that you want to export as HTML file in excel sheet. 2. 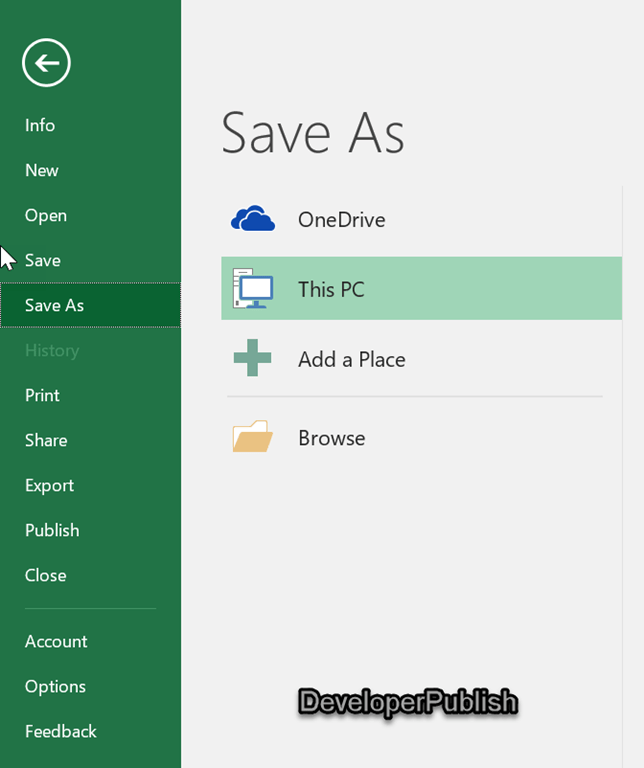 Click the File Tab in Microsoft Excel 2016 and the select “Save As”. 3. This should display the “Save As” screen. Select “This PC” and then click on the “Browse” button. In the Save As dialog , select the radio button “selection” and the value “Web Page” from the Save as type combo box. Also select the path where you want this to be saved. 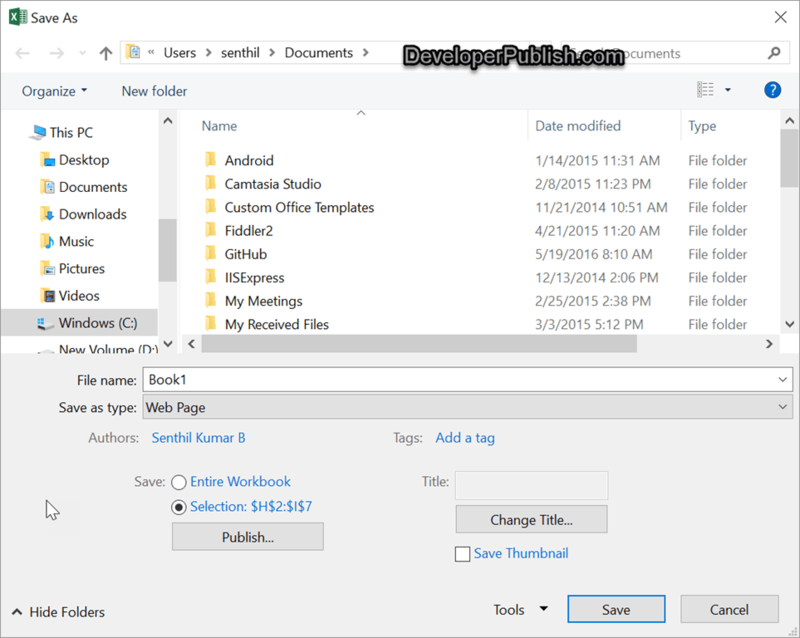 In this example , we will be saving the file in the Documents folder. Click the “Save” button. 4. In the “Publish as Web Page” dialog , leave the options as it is and then click the “Publish” button. 5. Go back to the path where the file is saved and open the htm page , you should see the selected cells being displayed in the webpage.